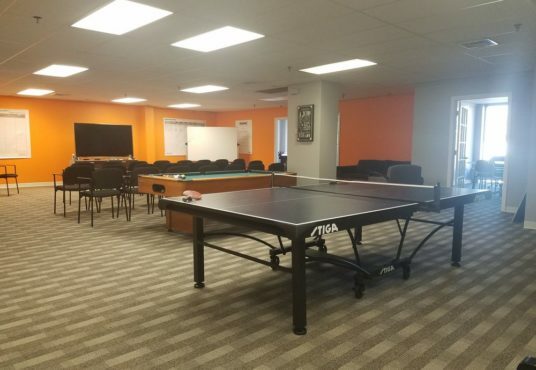 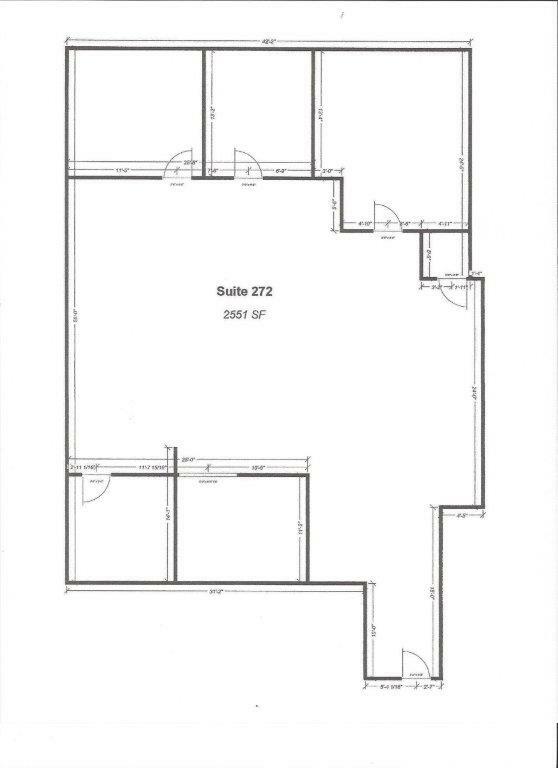 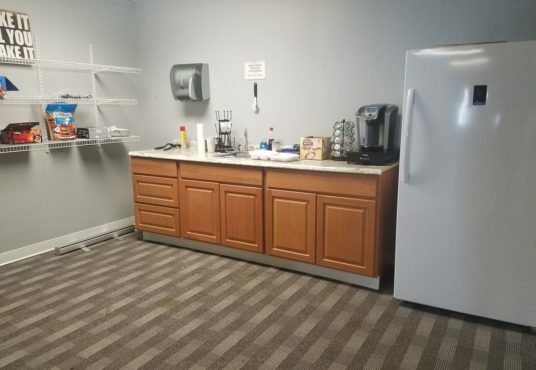 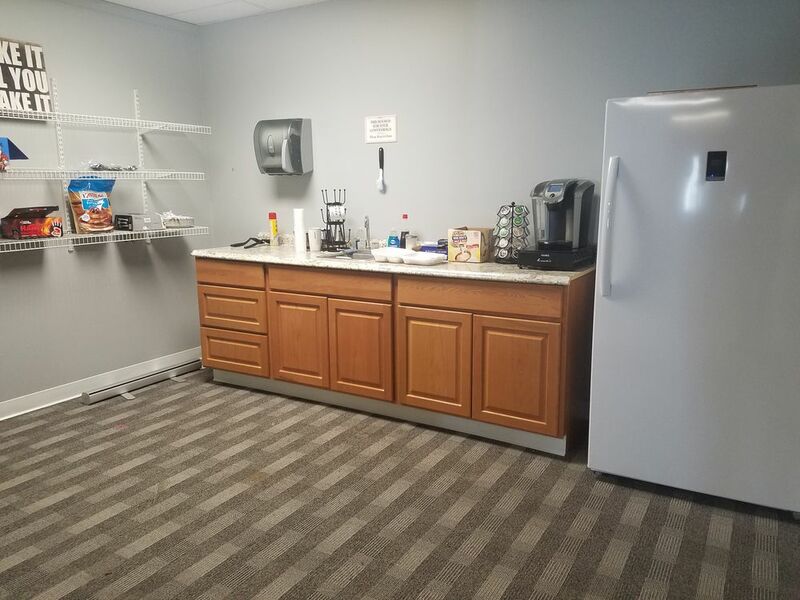 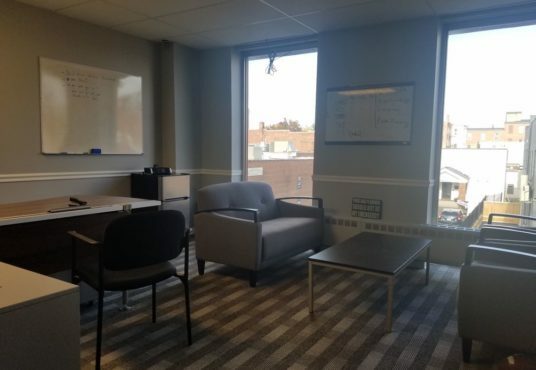 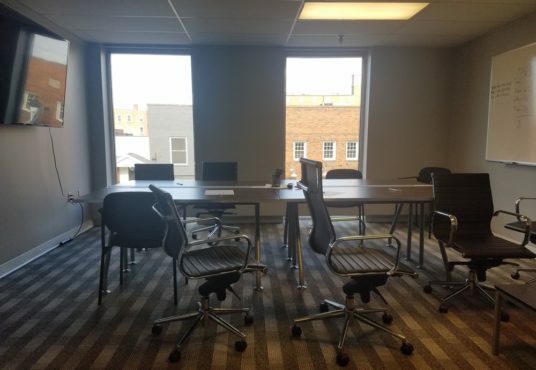 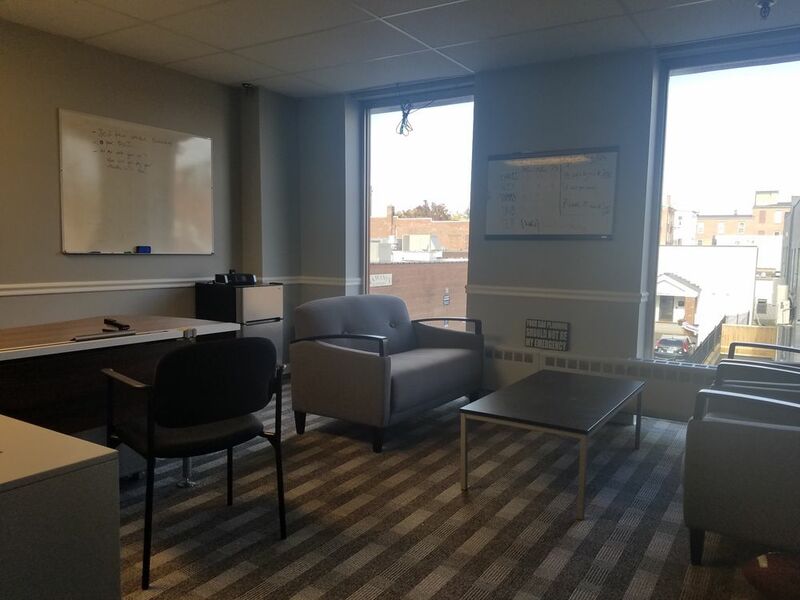 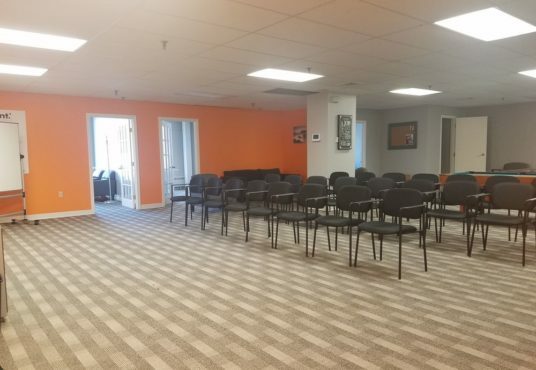 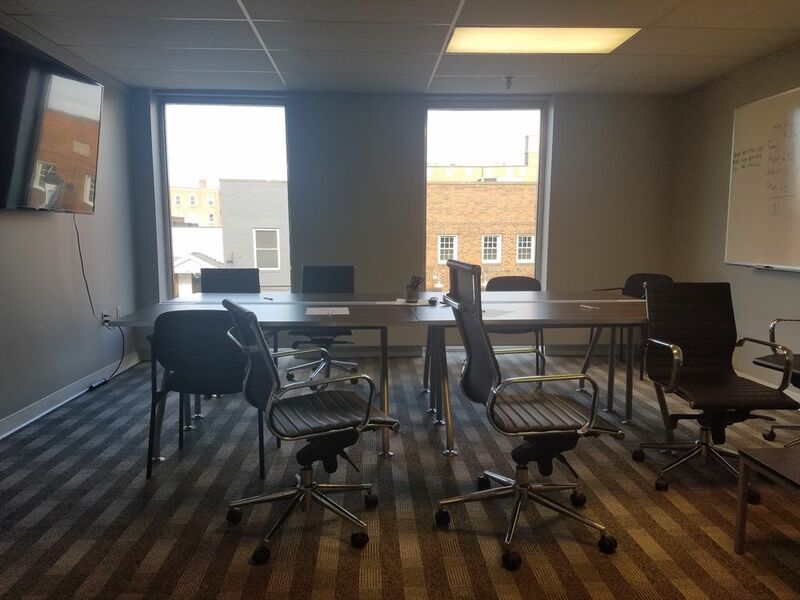 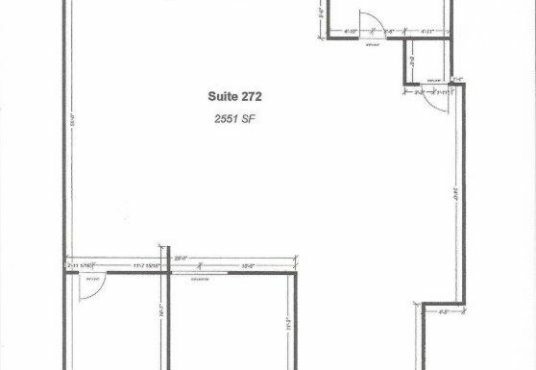 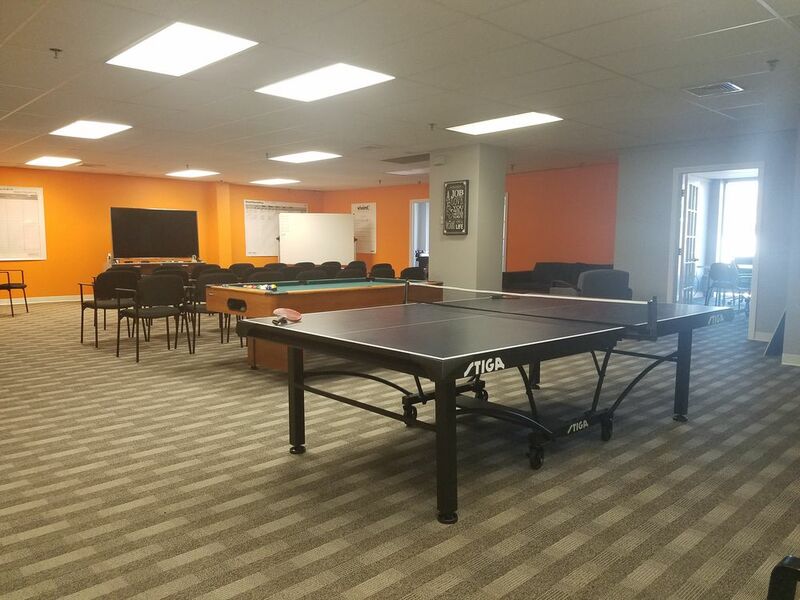 *All utilities included* This 2,551sf office space consists of three windowed offices of varying sizes, a large open area perfect for large group meetings or additional individual work stations, a private rest room, a storage room or fourth office as well as a kitchenette. 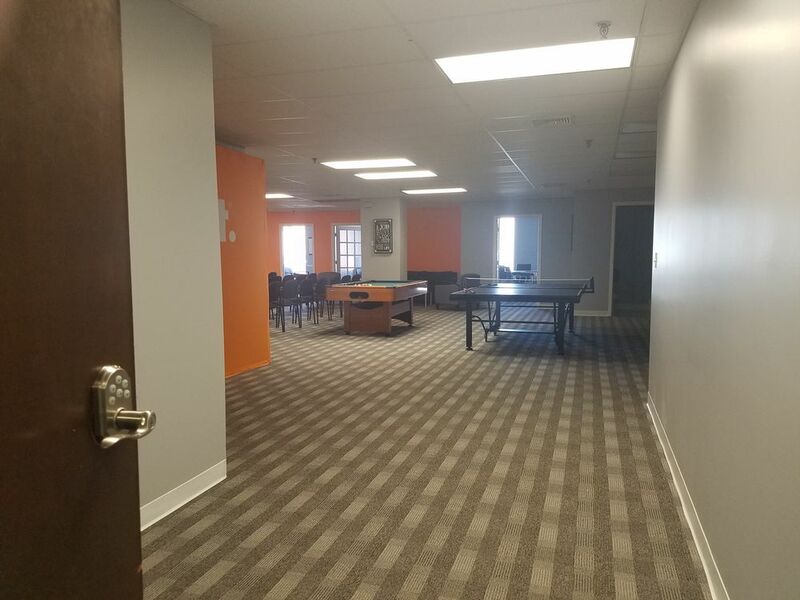 The space is currently being used as the local headquarters for the sales department of a technology company but they are vacating soon. 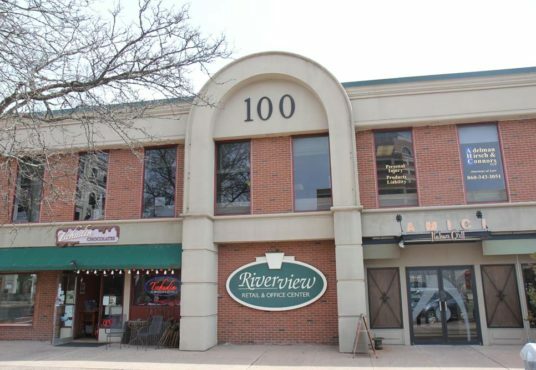 Riverview Center is a large two story retail/office building that shares a block with the Middletown Police Department as well as the Middletown Superior Court House. 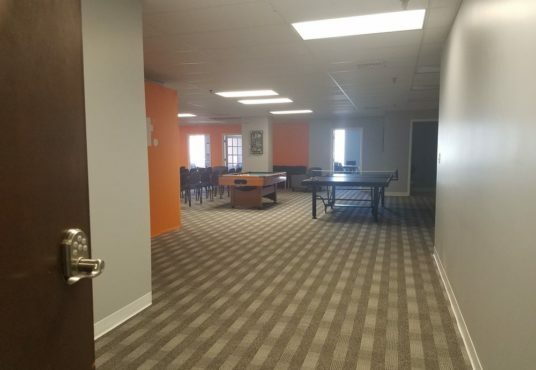 The building is a thriving business center and operates at close to full occupancy at all times. 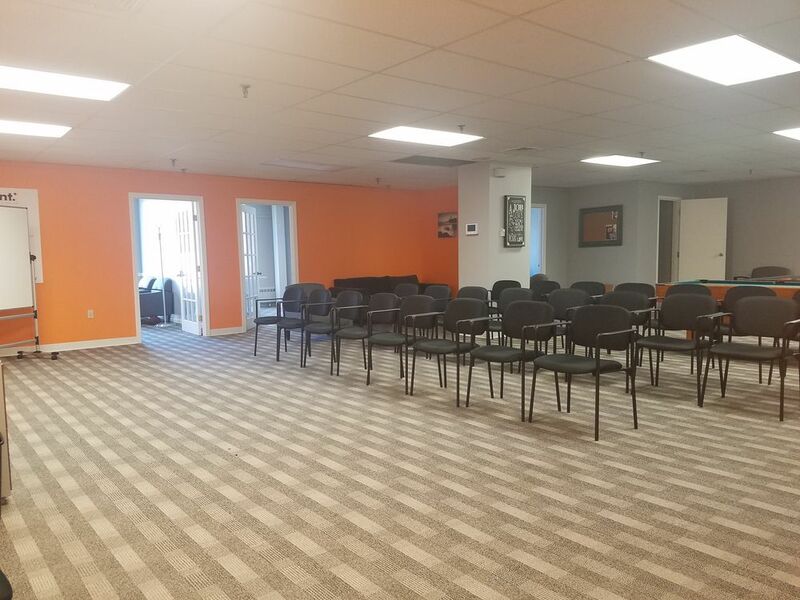 Tenants enjoy the central location as well as the plethora of multicultural dining options all within a short walk from the building. 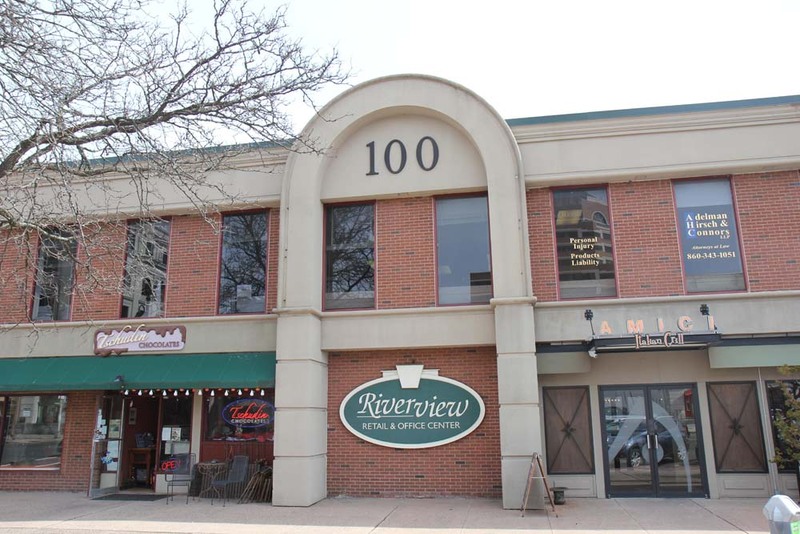 There is no need to leave though as Amici Italian Grill & Miss Kelly’s Bakery & Cafe call Riverview Center home. 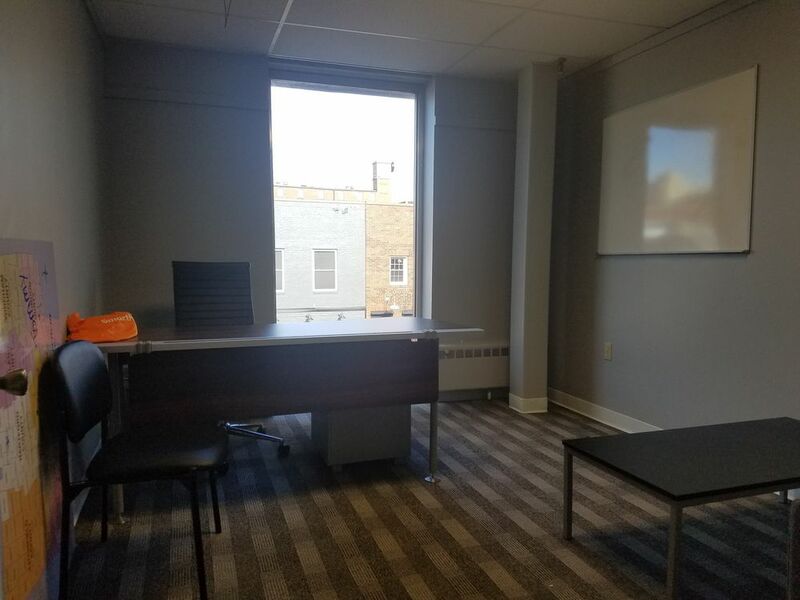 Everything anyone could need is all within a couple blocks including a grocery store, pharmacy, library, gym, etc… The Courthouse & City Hall being within a stone’s throw of the building make it a great location for a law firm.